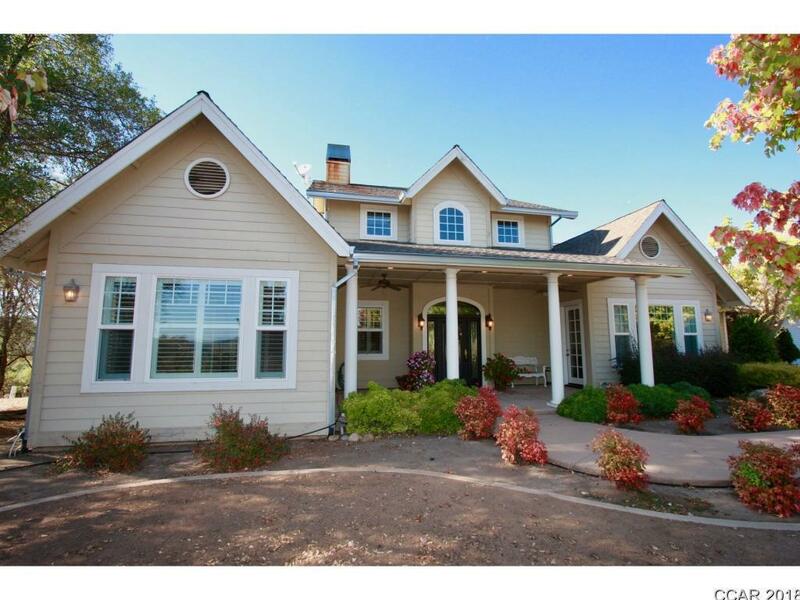 Spectacular 3 bedroom 3.5 bath Estate home on 18 private acres between Murphys and Angels Camp. Fine details include gourmet cooks kitchen with double oven and warming drawer. Granite counters with two islands including bar sink and beverage refrigerator. Adjacent formal dining room for those special occasions. Covered outdoor patio area to entertain guests or family. Master suite is on the ground floor and has its own access to the private back patio. Complete with owned 26 panel solar system to assist in offsetting utility bills. Custom, metal 2,700 sq ft shop with oversized pull through roll up doors. Room to store your RV, Boat or ATVs. Easy convenient access to Hwy 4. Property has a large seasonal pond and plenty of space for horses or cattle. This property has is all. Directions: Hwy 4 To Vallecito Bypass Rd.